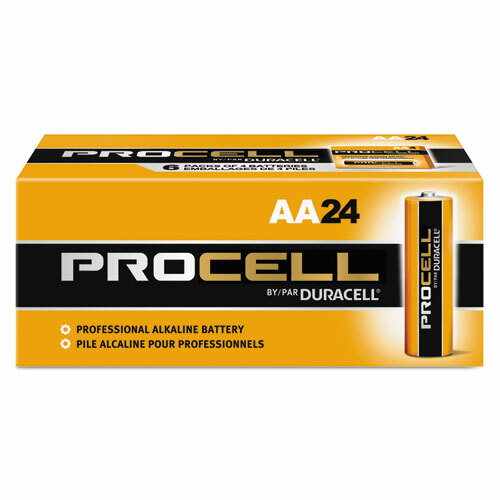 Procell Alkaline Batteries, AA, 24/Box - Delivering office supplies to Chicago and the Chicagoland area for over 50 years! 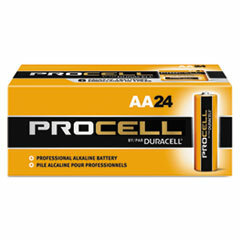 Duracell Procell batteries are economically packaged in bulk and are recommended for scheduled battery replacement programs. Manufactured to strict specifications to meet the highest standards of durability, longevity and efficient power. They are guaranteed against defects in material and workmanship. Should any device be damaged by these batteries due to such defects, Duracell will either repair or replace it if it is sent with the batteries.